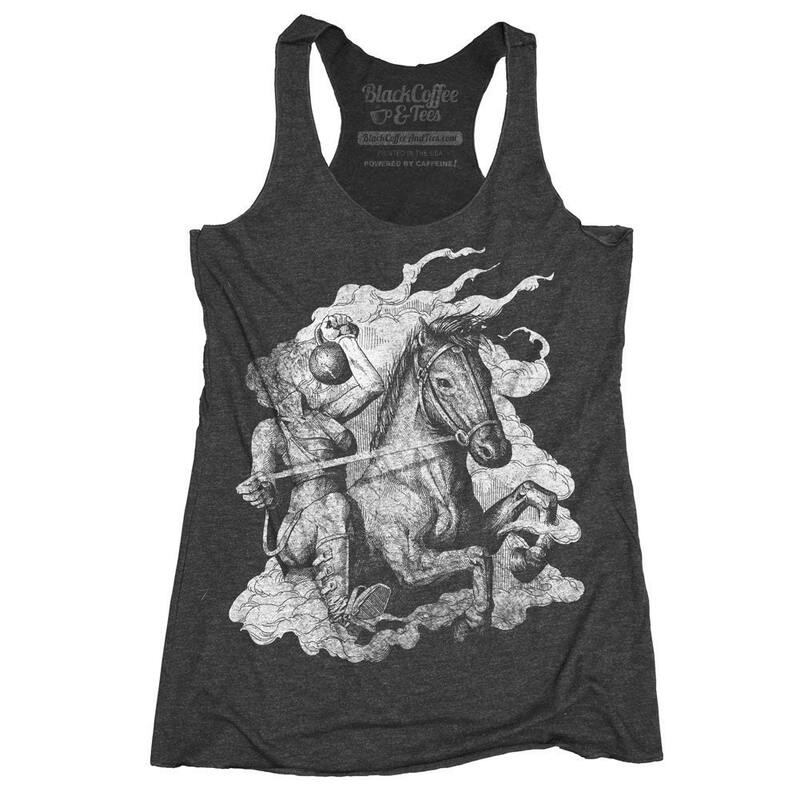 Women tank top screen printed headless horsemen for Halloween. 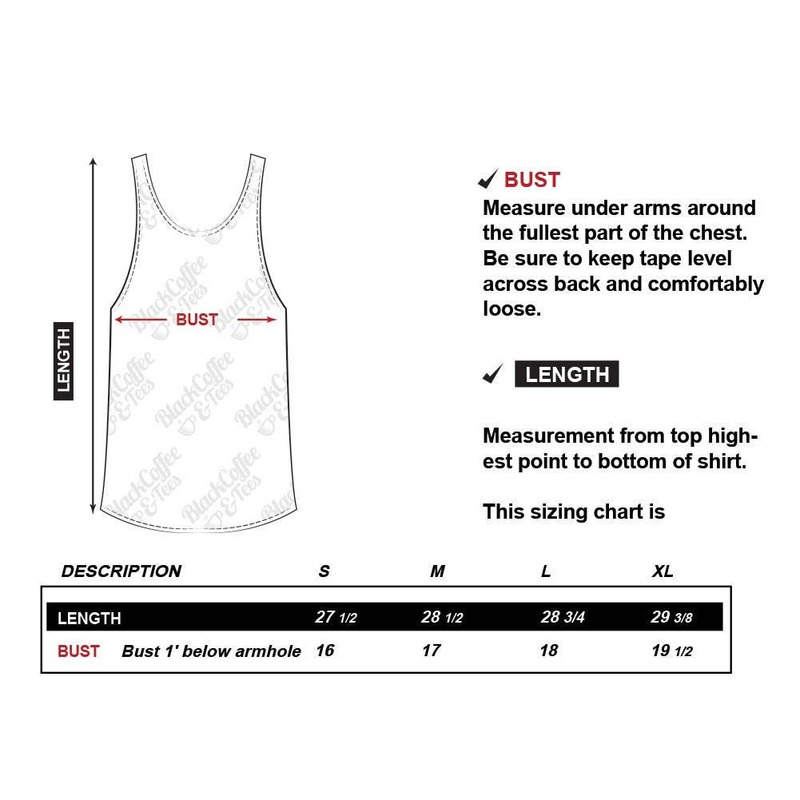 Perfect shirt for your crossfit work out in October. 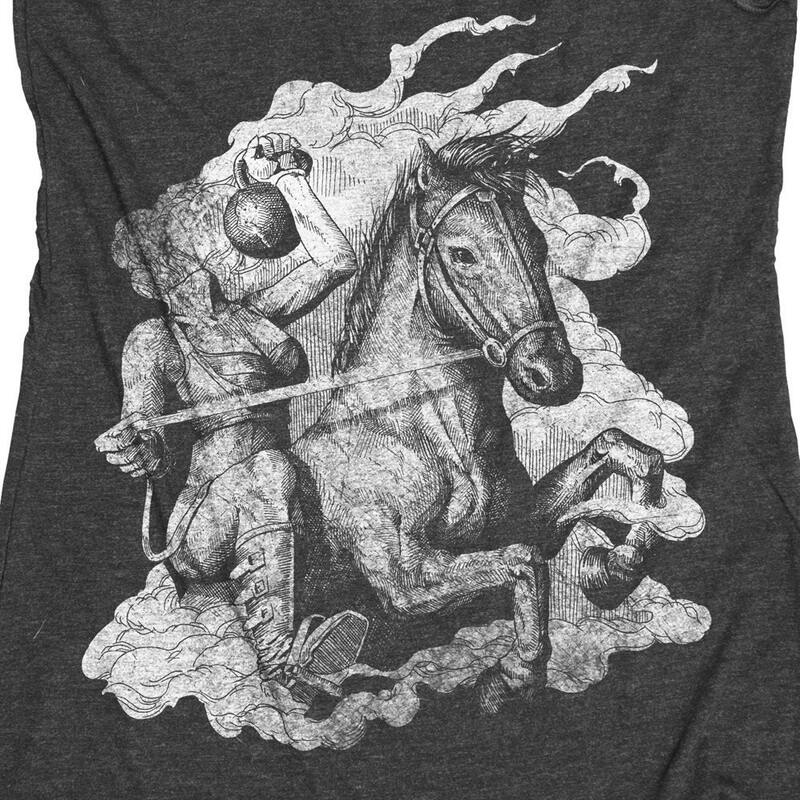 Headless horsemen holding a kettle bell. 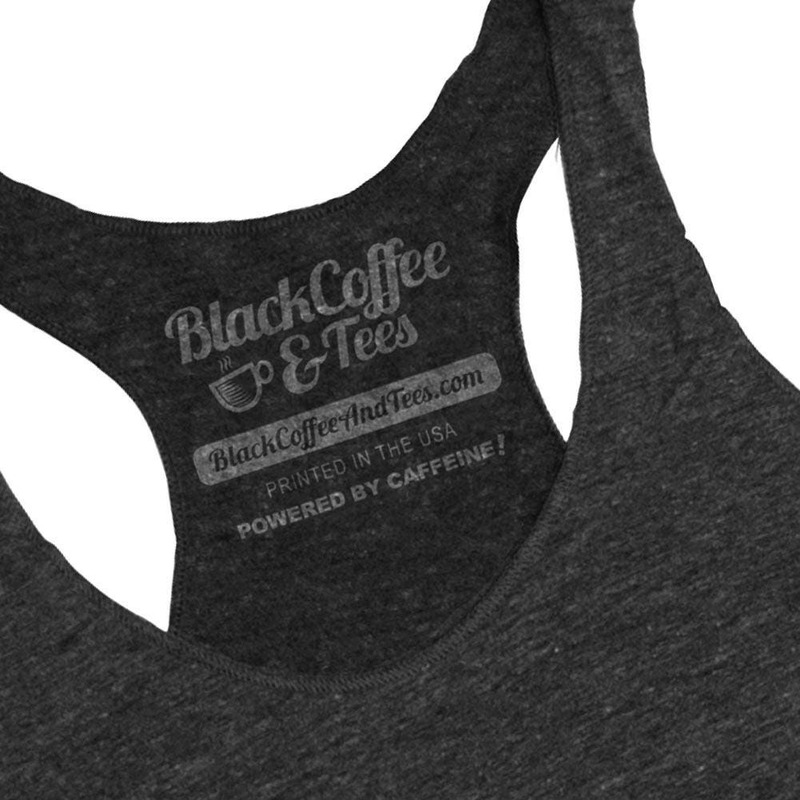 This is my second shirt from Black Coffee & Teas! I love their designs, their shirts are so soft, and I always get compliments at my Kettlebell classes! The design is perfect! The shirt is very nice and soft. Great for workouts.